For those of you who need your cable zip ties to be labeled, we offer a huge variety of custom printed and hand writable ID and flag ties. Our write-on flag ties and ID plates give you the space necessary to hand-write a custom message to ensure that your zip ties are labeled exactly as needed. We also carry custom imprinted flag and cable ties that convey a clear message about the wires being bundled. At ZipTape® Label ID Systems, we carry identification and flag ties in many different styles and colors to ensure that you can properly identify whatever you need to bundle. 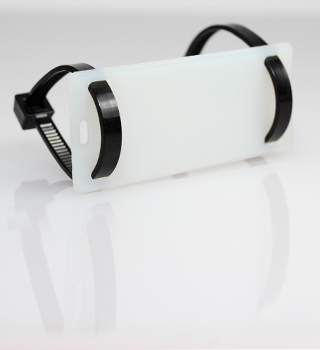 If you have any questions about any of our hand-writable or custom printed cable ties, please don't hesitate to contact our customer service team. We are here to help! 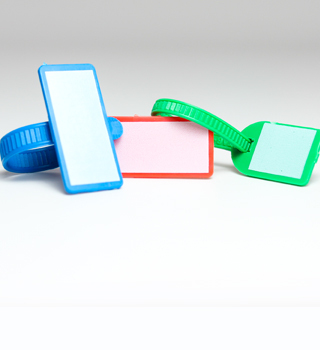 Write-on flag cable ties convey a wide range of information by combining the color of the tag with your own text inscribed on the tags or easily change applications with hand writable zip ties. Identification Ties and plates are ideal for identifying cables and wires with information meant to protect, warn or advise someone before use or removal. Can be used as a simple color coding solution or any identification project. 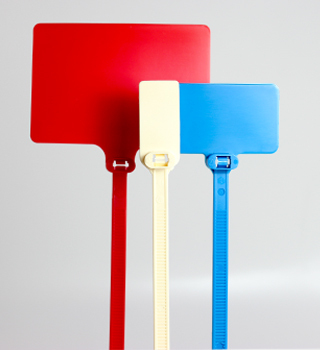 Our flag style cable markers are available in an assortment of colors and lengths to accommodate your needs. 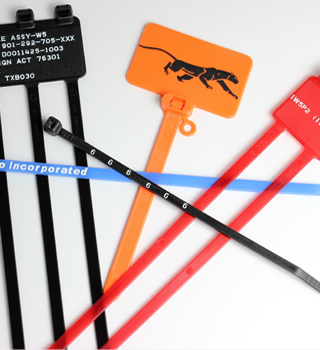 We have the capabilities to imprint your company logo, verbiage, serialized numbers and much more on a wide array of cable ties that we offer. Custom imprinted ties offer a perfect solution for company branding or corporate events.